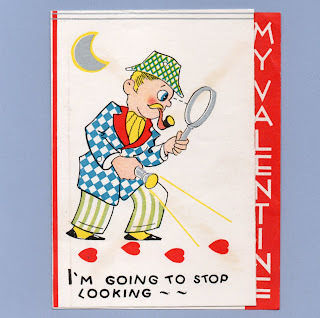 I'm going to stop looking -- I know I'll like your cooking -- Oh boy! 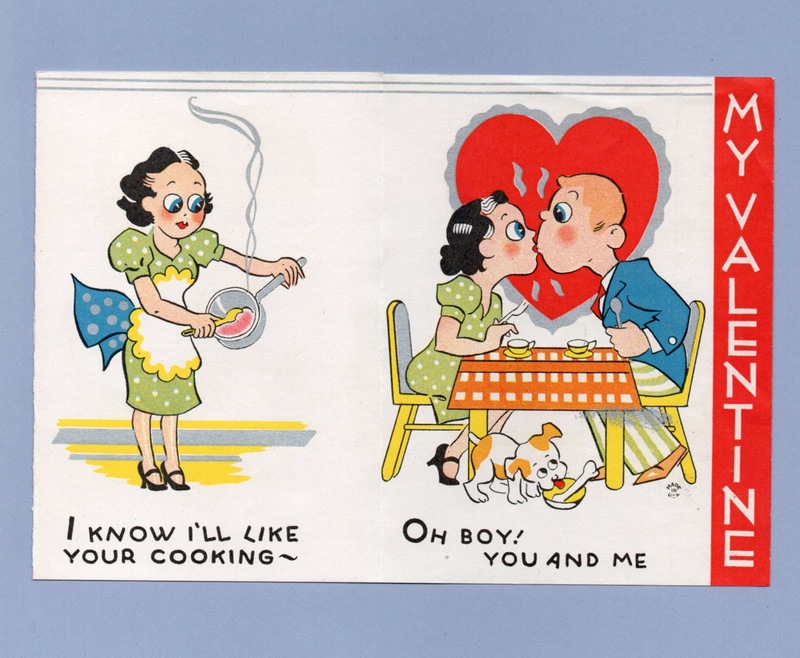 You and me. 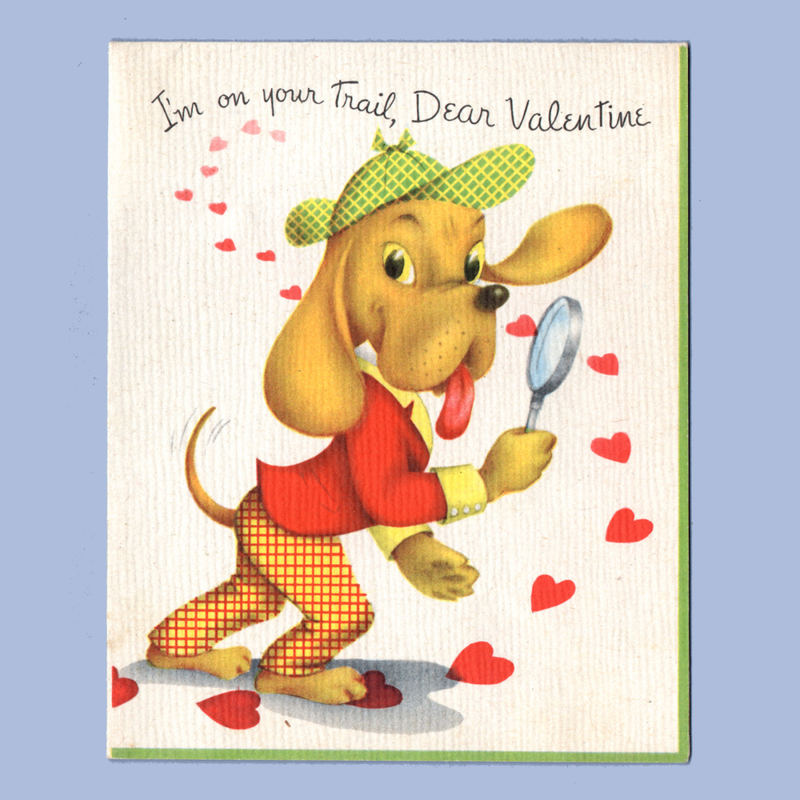 I'm on your Trail, Dear Valentine ~ I do suspect That you detect I want you to be mine, So here's a clue To prove to you I'd like to be Your Valentine! 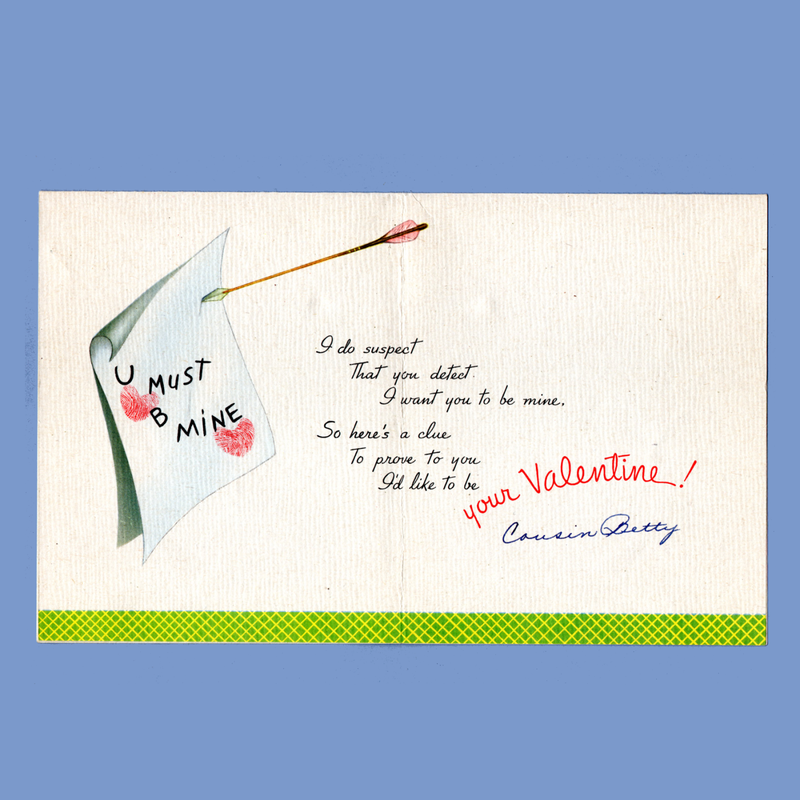 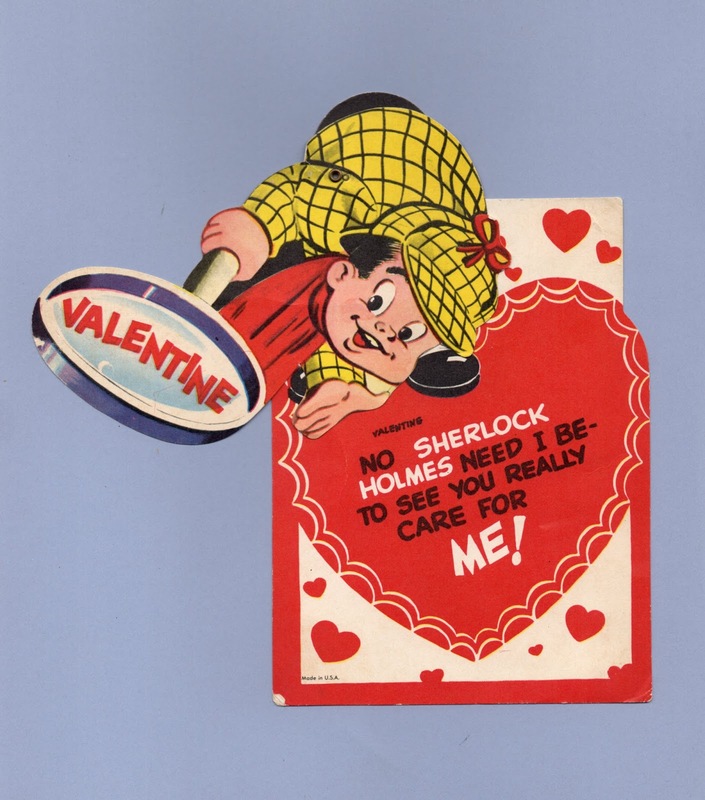 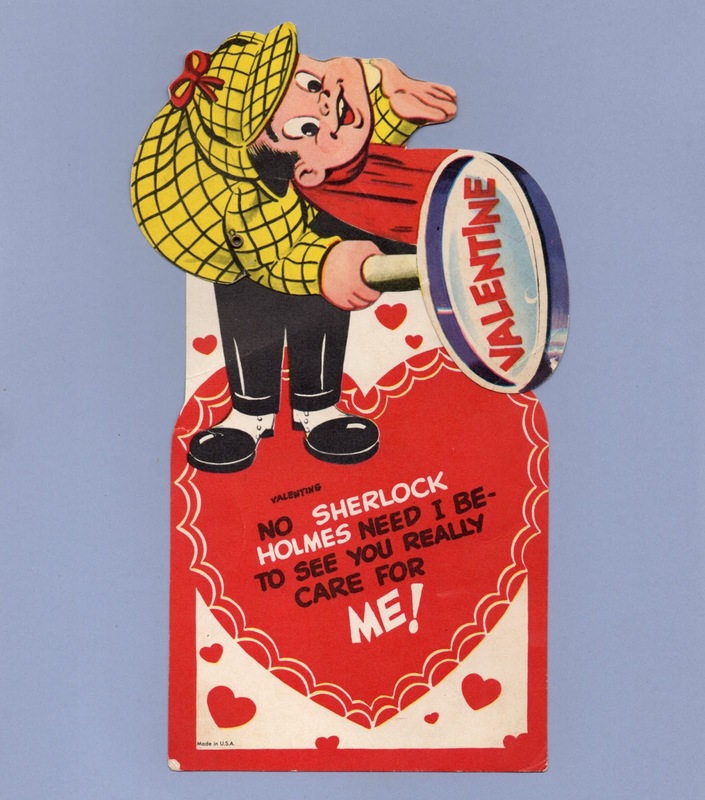 Valentine no SHERLOCK HOLMES need I be - to see you really care for me! 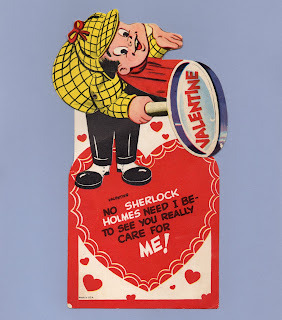 Valentine You're the one I'm LOOKING FOR! I like you a lot! 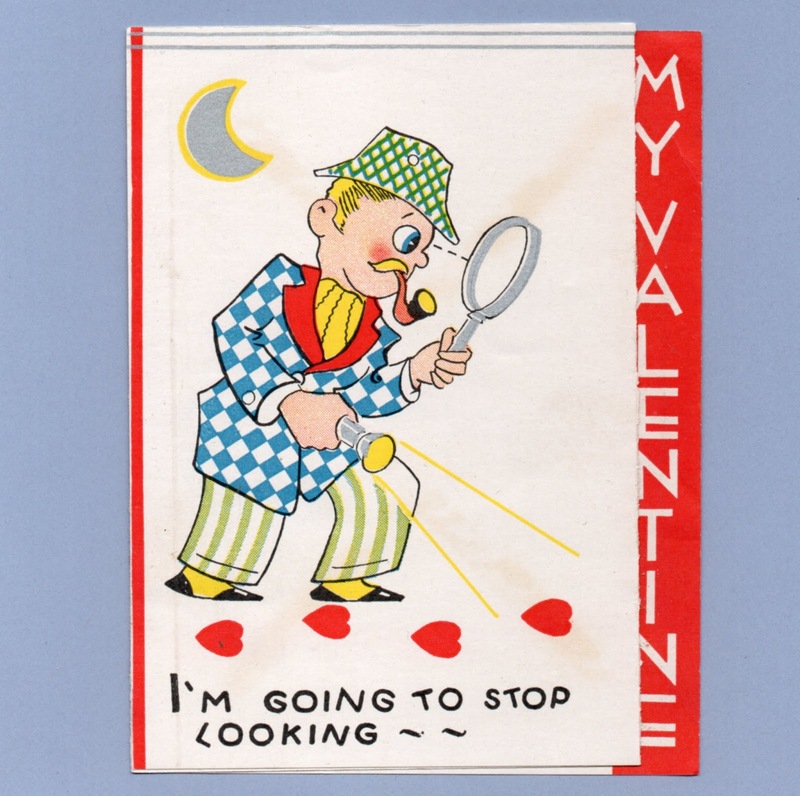 This is no MYSTERY to me.